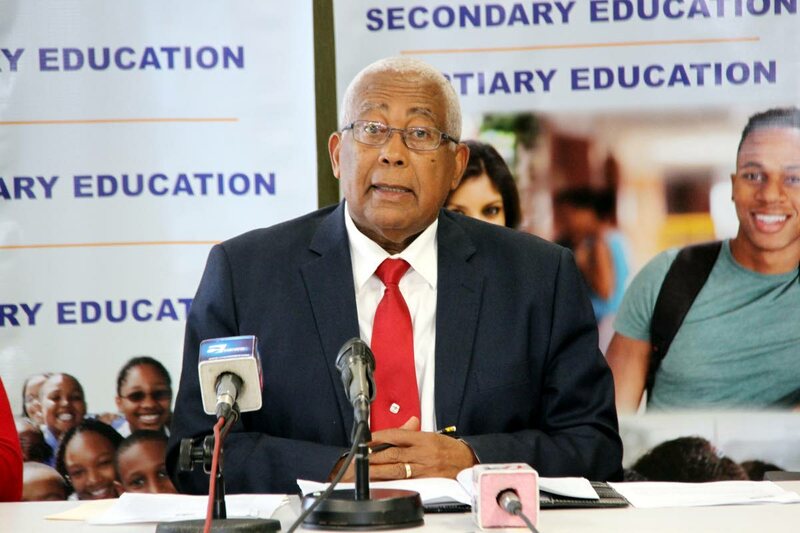 Education Minister Anthony Garcia has said, in no uncertain terms, that he did not use his office while principal at Fatima College to discriminate against Hindu students. There have been reports in the media that Garcia forced Hindu students to remove their rakhis, a coloured thread or talisman used for protection. It is considered a religious ritual. In statement, Garcia said there were claims that he cut the religious bands off the students’ hands. “I want to state in no uncertain terms and leaving no room for misinterpretation that I did not carry out these acts. These statements are defamatory, misleading and can be interpreted as a misguided attempt to persuade public distrust in me as the Minister of Education,” Garcia said. Claims of discrimination in several quarters have come to the fore since on-the-job trainee Nafisah Nakhid, a young Muslim woman, said she was turned away from taking up a trainee position at Lakshmi Girls’ Hindu College, which is situated at the Sanatan Dharma Maha Sabha headquarters in St Augustine, because she was wearing a hijab. While the matter is expected to be taken to court to determine Nakhid’s rights to practice her religion under the Equal Opportunities Act, she has since been reassigned by the Ministry of Labour and Small Enterprises Development, which runs the On-the-Job Training (OJT) Programme, and took up a position at the engineering unit of the Rural Development and Local Government Ministry at Kent House, Maraval. Garcia said since learning about what was now dubbed as the “hijab issue”, he was very vocal in his stance as it stood regarding a person’s right to religious freedom under the Constitution. “I have made it clear that religious intolerance will not be permitted at any of the nation’s schools, and this seems to have rubbed some persons the wrong way. This has now brought about a drive to shift focus on the issue at hand by spreading untruths about me,” the minister said. Garcia said to ensure that he had not forgotten such an incident had occurred, he consulted with present Fatima College principal, Fr Gregory Augustine, who assured the minister that no such action occurred. Garcia said Augustine supported the position that zero tolerance on discrimination was part of the school’s policy. Garcia said he would continue to uphold this country’s Constitution. However, he warned that he would seek legal redress if libellous statements made against him continued. Reply to "Garcia: I never discriminated against Hindu students at Fatima"